Puppies of any breed start to give the new owners two months old. In that time, they all look almost the same, especially if you belong to closely related species or are mestizo, i.e., simply speaking, half-breeds. The layman who wants to get a Dachshund, it is difficult to determine whether the puppy is purebred and, if so, how it meets the standard. To make the right choice, you need to know how to look like puppies fees, even if they are just babies. Of course, when you chose this wonderful breed, you already have an idea of how to look at taxes different types and are familiar with the main provisions of the standard (FCI and RKF). It is clear that even if you are not willing to pay a tidy sum for a puppy and want to buy it cheaper, do not buy it second-hand in the transition or in the market. Browse ads and contact the club or breeders. It is a guarantee that you will be offered a puppy of this breed, albeit with small deviations from the standard, but has all the features of the exterior and character of taxes. From a breeder or club puppies you will demonstrate in the presence of his mother, so the first impression you may make on its exterior, behavior and character. Look at the puppies – purebred should be branded on the right already or stomach. "Takata" should be proportionally built, well-fed, but not thick, tightly knit. Eyes clear, line of sight two-month-old Dachshund puppy is already easy to follow. Eye color dachshunds – brown, blue or grey considered married. Purebred Dachshund puppy bite should be scissors, gums and tongue have a pink color. Dewclaws are considered marriage as too long or too short legs. The ears have a rounded shape, a lot of folds on them should not be. Note the legs, they should not be too thin, and the puppy is supposed to look stocky. The back should be smooth, without gorbilok and deflections. Straight tail must continue the natural line of the spine, to be without creases and bends. The skin should be clean, with no signs of skin diseases and fleas, with the characteristic of this breed color, though eventually he formed only to the year. 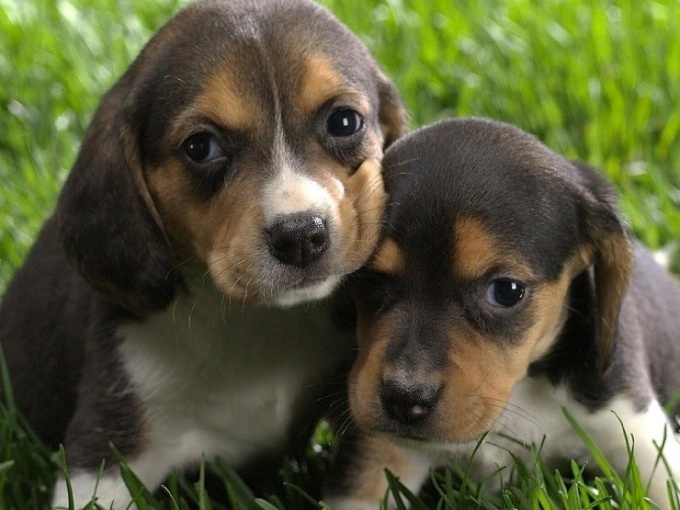 Color puppies are usually darker than adult dogs, but the nose and the claws they have from birth should be black. With age, they do not change their color, although the owner can assure you that the bright claws of the puppy and the yellow tip of his nose will darken. Dachshunds brown color nose and nails can also be brown. For black and tan dachshunds the brighter the contrast between the markings and wool main color, the better, because over time the color becomes less saturated. White markings or spots, "collars" or "socks" the fees shouldn't be. The signs of "métis" refers to the absence of tan markings in black color and spotted the "hog" color for gladkosherstnye fees.